Hello <<Preferred Name>>, here is your CommUNITY Weekly newsletter from Deaf Aotearoa's office. Due to a staff conference, all Deaf Aotearoa offices will be closed from Tuesday 2nd to Thursday 4th September. If you want to meet a staff member on other days (i.e. Monday 1st and Friday 5th September) please make an appointment with the staff member you want to meet. If you want to drop (e.g. to use the community computer) please contact your Community Relations Officer to check whether your office will be open. Not all offices will be open on Monday and/or Friday. 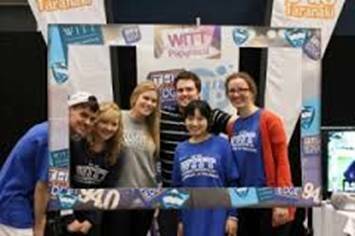 Do you want your news to go into our CommUNITY Weekly newsletter? We now have guidelines which all news must comply with before we will accept any news item into our newsletter. Who should I send my news to? When should I send my news? What is the criteria for selecting news? What happens if I have urgent information that needs to go out to the Deaf community ASAP? If you have any further questions you can contact your local Community Relations Officer. A person calling themselves Chris Rock is contacting people via Trade Me saying he is a Deaf person and that he works for Auckland Deaf Society. He is asking people for their PayPal details. Auckland Deaf Society want to let everyone know that this person is NOT employed by Auckland Deaf Society and they do not know who he is. We strongly advise you to ignore any requests from him as this looks like a scam. Auckland Deaf Society have reported this to the police and Trade Me. Julie-Anne Taylor is the only authorised seller for Auckland Deaf Society. If someone else is selling you something or wants to purchase something from you and they say they work for Auckland Deaf Society you should report this to your local police station as soon as possible. Please feel free to share this message with your networks. How important is it to vote? 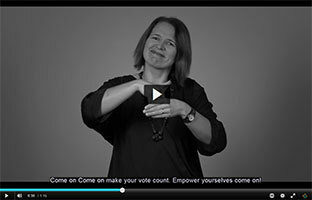 AttitudeLive have produced a short film aimed at motivating people living with a disability to vote. One of the stars in this short film, Monica Leach, is Deaf. Free Deafblind Awareness workshops are available for people all over New Zealand. In the workshops we talk about different problems with seeing, how people who are deafblind do things, and what services/equipment/support is available. 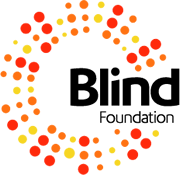 If you would like to learn about deafblindness (what it's like to be Deaf and have low vision), you can contact Catherine Winfrey, Deafblind Awareness Coordinator, at the Blind Foundation. Lobby and advocacy group, Auckland Domestic Violence and Disability (DVD) is pleased to announce the publication of Easy Read and New Zealand Sign Language (NZSL) versions of their Domestic Violence and Disabled People booklet. “We are very excited to publish these new versions of Domestic Violence and Disabled People. The Easy Read format will ensure that people with a learning disability can access good quality information about how to identify abuse, and some tools to get help. This is so important given the high rates of sexual and physical abuse in this community,” says Debbie Hager, DVD member. They are also delighted that the Deaf community can access this information. The World Congress Commission Committee invites the submission of abstracts for presentations at the XVII World Congress of the World Federation of the Deaf. To celebrate how the experiences of Deaf people contribute to society at large. Registrations close Friday 15th August. SLIANZ members can register for the same price as ASLIA members. Enjoy six hours of mini pampering treatments from top to toe. Each 15 or 30 minute sessions is approx $15.00 to $30.00 each. Pamper treatments, stall holders, drinks, food, etc. Win raffles and spot prizes. The annual More FM Northland Home and Living Show opens its doors to a range of exhibitors offering from home wares to flooring through to security and more. Whether you are building, buying, renovating or just looking for the best in home living, this three day show will have over 70 different exhibits all under one roof. 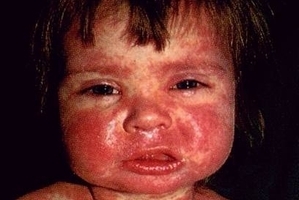 A measles outbreak has hit Waikato, Hawke's Bay and Auckland, but Northland was clear of the disease until an unimmunised Northland child was diagnosed with measles on July 29, after contact with children from the Waikato. Five new cases have been diagnosed and this will increase over time. Northland has a low immunisation rate, now 88% compared but 10 years ago it was 60-70%. People who were born after January 1st 1969 need to check whether they are immunised against measles. It is spread from person to person through the air by breathing, sneezing or coughing. Just being in the same room as someone with measles can lead to infection if you are not immune. Infants under the age of 15 months who have not received their first routine dose of MMR vaccine. They are susceptible and rely on everyone else to be immune so that measles does not spread to them. Children over 4 years old who have not received their second dose of MMR. Sue Nicholson is an employment consultant based at Deaf Aotearoa's Auckland office. If you would like support in looking for work or support while in work please make an appointment with her. What do you know about general elections? This training will provide basic first aid skills and help you prepare for medical emergencies. Accidents or ill health can happen anywhere at any time. This course will ensure you know what to do. A qualified member of St Johns will be teaching the course. NZSL interpreters will be provided. To register contact Debbie Cundall before Friday 22nd August. Time: Please meet at 9:00am for a 9:30am start. Meeting point: Soon after the Waiti Stream bridge on Bethells Road, turn right onto a grass driveway, where you will see a Department of Conservation track sign. Continue driving where you will see a large parking lot. The walking group will walk to Raetahinga Point from Te Henga (Bethells). Please let Anna, the organiser, know that you are coming and we will organise car-pooling. Bring walking boots/shoes, warm clothes and a waterproof coat along with drinks and snacks. This is an opportunity to know who to vote for. You’re invited to meet the politicians and hear what they have to say on disability policy as we approach the 2014 elections. Then you can go away and think about who you will vote for this year. An interpreter will be present. Hamilton City Council is proposing to change to a capital value rating system. 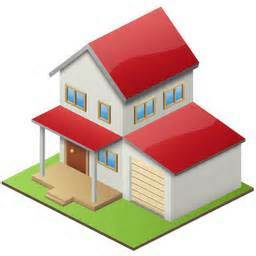 Currently, general rates are calculated based on the land value of a property. Under capital value, rates would be calculated based on the value of the land plus what is built on the land (e.g. a house, a shop or a mall). If you have any questions about the proposal or want to discuss it, we invite you to come to one of our drop-in sessions. The mayor, councillors and council rates staff will be available. Do you need information about: Consumer problems, budgeting, health and wellbeing, tenancy/flatting issues, education/learning, travel, transport, legal advice, personal and family, local clubs and events. Not sure? Ask the Citizens Advice Bureau. They provide friendly and confidential help and information on any matter, for free! The night markets offers a fun family experience with cuisine from all over the globe, local produce and arts, crafts. There will be great entertainment and great vibes from 5:00pm to 11:00pm every Saturday night. Come along and join us. Share exotic dishes with friends and family. Please save one of the dates for the presentation. Chris Blum from NZ Relay will be doing the presentation. If you don't understand the modern technology or want to know more, this is the presentation for you. It will be about understanding data, 3G, 4G, smartphones, tablets, broadband, routers, cabinets and UFB. Chris will also be sharing information about Internet Relay, VRS, VRI, Mobile Text Relay, TXT111, TTY, Captel NZ. This is your chance to have your questions answered! See you there! This is a two day special event for women! There will be 140 companies, from jewellery, beauty, business products, crafts, fitness, food and wine sampling and more. Cooking demonstration, fashion show and style workshops. Basketball New Zealand with Tauranga Basketball Association will host the 2014 U23 National Championships. There will be 24 teams (12 teams of men and 12 teams of women). This is a four day competition to win the national title. Support our future Tall Blacks and Tall Ferns. Let's go explore your backyard and meet your neighbours this Sunday. Enjoy music, a BBQ, family orienteering and a bouncy castle. There are also prizes to be won! New Plymouth Boys High jazz band will join us for some of the time. Bring a picnic hamper and blanket. Discover a huge range of career options available to you. Education and training providers will be well represented at the expo as well as universities, institutes of technology and polytechnics and private training establishments. Discuss your career choices with career support service organisations such as Careers NZ and MSD Studylink who can support your journey towards your ideal career. Best of all, you can do all this under the one roof, right here in Taranaki. To make it easy to 'Get Informed and Get Ahead', exhibitors are clustered together so that you can get all your information from the one location. Located at the entrance to the exhibition hall is a 'Career Map' to help you find possible careers that fit with your interests. The Career Map also lists exhibitors able to assist you with further information and their location in the stadium. 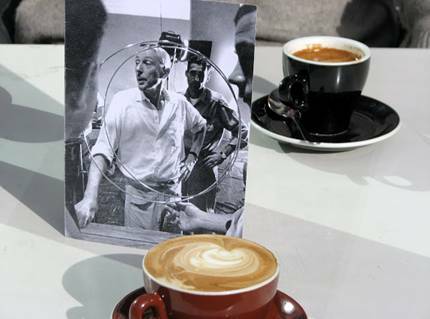 All welcome to join Len Lye Curator Paul Brobbel for a talk about Len Lye’s filmmaking during the Second World War. Paul will discuss this often overlooked period of Lye’s career, focusing on several rarely seen films made for Britain’s Ministry of Information. Art to Lunch is a series of lunch time talks, held on the third Thursday of each month, about current art projects and art related topics. BYO lunch, coffee and tea provided. Test the PH of your soil. Tips for sprouting robust seeds and what to prepare now for growing in spring and summer. Join our gardens team at Hollard Gardens. 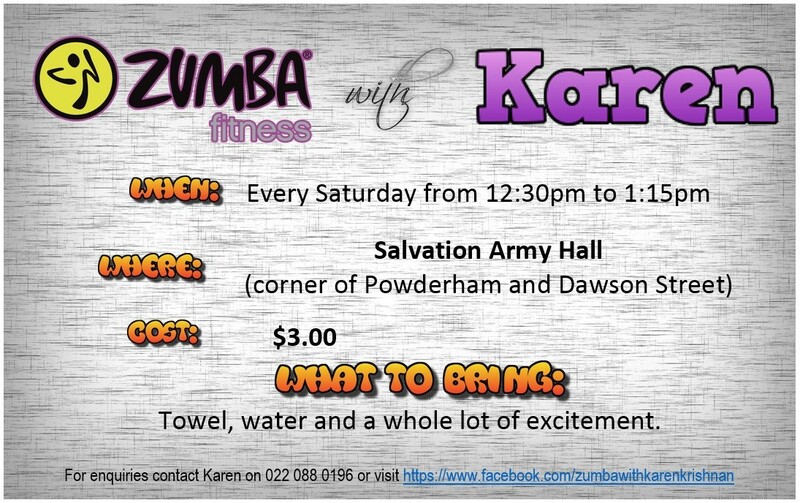 Where: Hawkes Bay Deaf Club, 22 Lee Road, Taradale. What do you know about the general election? Come along and find out more about this year's elections. Make your vote count this September! Please let Deaf Aotearoa know if you are coming or not. Text 021 459 005, fax 06 844 1208 or email lee.bullivant@deaf.org.nz. Interpreters: Two interpreters will be there. Hope to see many Deaf women come to this workshop. The Magpies take on Taranaki in their first home match of the ITM Cup. Napier will play host to the All Black when they take on Argentina at McLean Park. This will be the first time Napier’s McLean Park has hosted an All Blacks test match since the encounter against Manu Samoa in 1996. A regular host for Super Rugby games, the 20,000 capacity ground attracts a crowd of local supporters, and with upgraded stadium facilities the All Blacks will play in front of a sell-out crowd. The majority of tickets remaining are in the Ticket Direct temporary stand which will provide a magnificent view for all ticket holders, this stand being erected in the embankment. This seating structure was used at Eden Park for the Rugby World Cup and will provide an amazing view of the ground. The Argentinean supporters are known for their passion and are guaranteed to take the stadium by storm. There’ll be plenty of singing, whistle-blowing and good-humoured banter so make sure you join the party. If you want tickets you need to be quick to buy them as they will be sold out very soon. There are two workshops coming up soon! Mark your dairies now. NZSL Interpreters will be there! This workshop will help decide which smartphone, tablet or broadband you can purchase to access the communication services you need. For more information, check out the flier attached! Come along for a day of presentations to learn more about a variety of things. Lunch is also provided! You must book your place, if you want to come please confirm your space with Lianna before 26th September. Bring a plate of food to share for everyone! We had our First Aid workshop on 2nd August at the Community Leisure Centre. We found this workshop very informative and useful as there have been some changes how and what we do for First Aid. It's very important we update our knowledge and skills every two years. 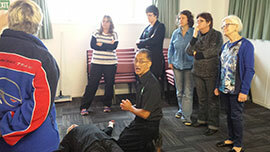 We had nine participants with NZSL Interpreters and a fantastic tutor from Links. It would be good if everyone had this knowledge and skill as we need to be prepared if anything happens whether it's our family, friends, or when we are out and about. 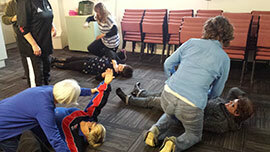 We will hold another First Aid course in two years time and we hope to have some men take part, as they were all women! Twill be a New Zealand Sign Language interpreted performance. 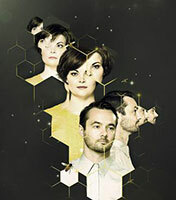 To book for the NZSL interpreted performance, email circa@circa.co.nz. Please advise them of your name, and that you would like seats in the designated area in view of the interpreters. Tickets can be paid for on the night, but must be paid by 7pm. Wellington Lux is a free public light festival that turns Wellington’s waterfront and laneways into a captivating celebration of light, art, technology and design. LUX is an annual outdoor exhibition of amazing works of art and design from around the world created using light and cutting edge lighting technologies. This year the festival will showcase a fantastical array of light sculptures that wind their way through an urban light trail within the city’s laneways and then spill out into a promenade of light installations along the waterfront. These will be accompanied by artist talks from national and international artists, designers, and researchers; pop up exhibitions and installations; and fun free activities. The annual DCM Bookfair is the largest of its kind in Wellington. With some 90,000 books, as well as CDs, DVDs, vinyl and puzzles, there is definitely something for everyone. It is also our major fundraiser of the year, and therefore very important to the on-going success of the work that we do to end homelessness in Wellington. They also need volunteers to help with the Bookfair - please contact us to learn more. Or you can donate books year round. Please drop them off to their office at 2 Lukes Lane week days. The Hill Street Farmers' Market takes place every Saturday, rain or shine, from 8.30am until 12.30pm in the carpark of the Cathedral of St Paul in Hill Street, Thorndon. My name is Jared Flitcroft and I am the new employment consultant for Deaf Aotearoa's Wellington office. If you would like support in looking for work or support while in work please make an appointment with me. The Nelson Deaf community are having afternoon tea together at Café Affair, come along and catch up with everyone. Please let Rachel know if you require transport. Nelson Deaf Incorporated invite you to play Ten Pin Bowling! Please let Cathy, Rachel or Wendy know by Sunday 13th September if you are coming or if you require transport. This workshop will help you decide which smartphone, tablet or broadband you can purchase to access the communication services you need. The annual Cherry Blossom Festival is a celebration of Japanese culture, music, food and the 38 year-old relationship between Nelson and our sister city Miyazu. Bring a picnic, enjoy the on-site food stalls or simply relax under the beautiful sakura (cherry blossom) trees. The office will be closed on Tuesday 2nd to Thursday 4th September. Staff will be attending a staff conference in Auckland. The office will be re-open on Friday 5th September. If you wish to see one of the staff, please make an appointment first, thank you. Do you want to learn more or improve your budgeting? Do you want to learn how to manage your budgeting? Or want to save more money for your dream of goals, eg holiday, car, etc? Please RSVP by Friday 29th August by email to victoria.walters@deaf.org.nz or by texting 021 324 828. Their grants was formed following after the 22 February earthquake to manage the funds donated to 2011 Earthquake Appeal. The grants was donated for these affected by the earthquakes. If you need an assistance with the application, please contact your local Community Relations Officer, victoria.walters@deaf.org.nz. Fisher & Paykel Dishwasher (double drawers) $450.00. In an excellent condition. It has not been used often for 8 years. If you are interested or you want more information, please text 021 031 3899. Come and practice casting your vote. Learn and ask questions about the voting process. Please let Anna know if you’re coming before Thursday 21st August. The stadium car boot market is the perfect place to hunt for bargains on collectibles, antiques, vintage, second-hand and new items. For tickets visit www.ticketdirect.co.nz or buy at Stadium Reception, Gate J. Staff will be going to a staff conference, so the office will be closed. The office will be open again with normal hours on Monday 8th September. If you are interested in coming along please RSVP to Rebecca by Thursday 21st August. Rebecca will be away for staff training during Monday 1st to Thursday 4th September. If you have any issues or something you need help with please get them done before she goes away. Otherwise Rebecca will be back in the office on Tuesday 9th September. Understanding data, 3G and 4G, smartphones, tablets, broadband, routers, cabinets and UFB. This workshop will help you decide which smartphone, tablet or broadband you can purchase to access the communication services of your choice. You will have to confirm your place on this course. An invitation, with times, will be sent once the venue is confirmed. You will need to RSVP.